If you’re interested in a simpler life and think minimalism is the path for you, you’ll likely need to address some of the ways you think about your stuff and how and why you accumulate it. 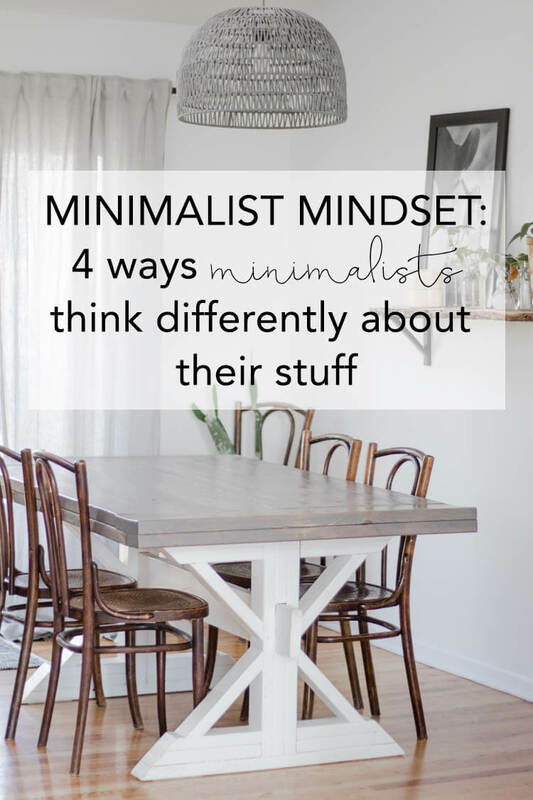 In this post, I’ll tell you the main minimalist mindset changes I’ve made along my minimalism journey and why you might need to make them too. Becoming a minimalist is more than just throwing away all the excess stuff you own. If you only focus on your physical things, you’ll likely end up keeping your home clean for a little while, but will ultimately end up refilling it with new things. I’ve personally found the initial cleaning out actually kind of easy. It’s nice to get on a roll and feel good about the new clear spaces you’re creating. It’s rewarding to see everything nicely organized and after a few weeks of hard work, you’re ready to get back to your normal life. But that’s when the real work starts. Because if you don’t address how you ended up with too much stuff in the first place, you’ll continue your normal buying habits. Then before you know it, you’re back at step one. 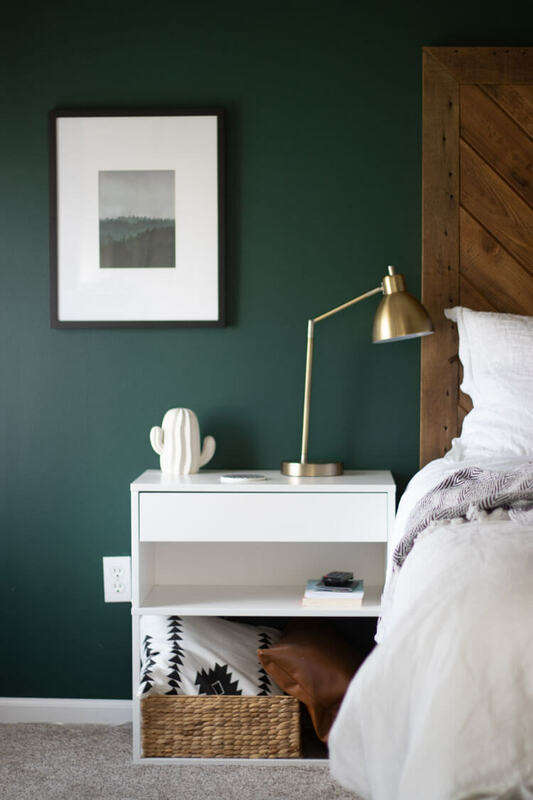 Over the past couple years of considering myself a minimalist, I’ve found there are a lot of “good” reasons to hang on to stuff that ultimately you don’t need or even want. You might really want more physical space, mental space and a freed up calendar, but then you come up with a million different reasons all the stuff you’re going through should stay. Or you easily parted with most of your stuff, but find yourself shopping again and again to replace it. The only way to get from the decluttering stage of minimalism to the maintenance stage is to change the way you think about everything you own and how it affects your lifestyle. These are the minimalist mindset changes I have personally made and think most minimalist gravitate toward. More organization is not the goal for minimalists. If you spend too much time reorganizing your stuff, you likely need to get rid of more of it. The most successful organizing systems are the ones that might not look like organizing at all. They’re simple and easy to maintain. You won’t need fancy folding and stacking and filing techniques if you only have what you really need. The ultimate goal for most minimalists is to have only what you need and keep it in a place that you can easily access it when you need it. 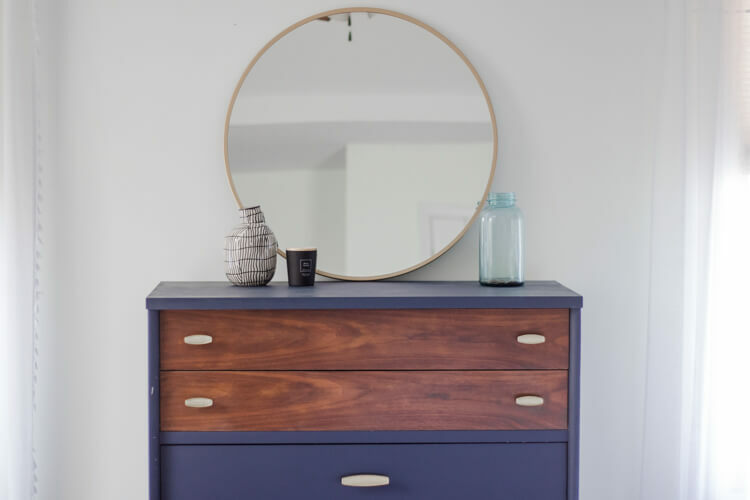 We gravitate toward this trendy lifestyle because we are tired of wading through the rest of our belongings while we’re looking for an item we need right now. Most of the time we think that more storage, more bins and more organization will make it easier to find those things quickly. But in reality, the only thing that will help is to clear the path to the items we use the most. I’ve finally been able to keep my closet organized the last year or so because I finally got rid of all the “just in case” items that I never used. I sold or donated the home decor items that were stashed in the back, because most of them hadn’t seen the light of day in 2 years. The random craft supplies that lived there waiting to be used “someday” were also thrown out. All this downsizing allowed me to switch closets with my husband. I took the smaller one where my stuff easily fits and he was able to move into the walk in where there is plenty of room to hang his work and military uniforms. A much better use of space! Minimalists understand that reducing the amount of stuff you own is easier than changing your habits. Sometimes we think we are just messy, or lazy or unorganized. If we would spend more time cleaning, or give up our alone time to take better care of our stuff or invest in fancy systems life would be easier. But in reality, there are just a couple habits we need to work on. If we could stop filling our home with stuff we don’t need, all of those things would be simpler. Of course we all need to clean up after ourselves to a certain extent, but when there is less to pick up the task is less intimidating. When I’m overwhelmed by how much time a specific task is taking or how much stress it’s causing, I immediately look to see what I can get rid of. Baby bottles were causing this for us recently, as they were all over the house and there never seemed to be a clean one ready. So I took our sizable stash down to just 3 bottles and now I’ll never spend 30 minutes washing bottle parts. I do have to clean them more frequently, but it takes less than 5 minutes to wash them all. Cleaning as you go doesn’t require near as much self discipline because there is less to do. You won’t need to start (or continue) dedicating an entire day each week to reorganizing your kitchen because you won’t have near as much stuff to organize. You won’t have mounds of laundry to wash because you won’t have 20 days of clothes to wear before you’re forced to do it. Minimalists recognize that consumerism is responsible for most of our problems. Too often the things that cause us the most stress and worry are literal things. Financial problems, feelings of unhappiness, unhealthy comparison to other people, fear of not being successful. All of these things are driven by expert marketers telling us we need to purchase their products to be happy and successful. But it doesn’t actually matter how much we have, we always want more. We continue to feel inadequate and keep spending all our money and buying all the things. I find a lot of women fall into this trap with beauty products, myself included. I don’t even love wearing makeup, yet from time to time I still wonder if this latest product would really make my skin better or style my hair better. Nevermind the fact that I’ve never noticed a real difference in any other product I’d tried. When you can clearly see consumerism for what it is and can identify the ways companies are portraying an unrealistic lifestyle to profit off of you, it’s easier to bow out of the rat race. You may still feel those pangs of jealousy or have moments and days were you feel like you don’t measure up. We’re all human after all. But then you can work on getting down to why you’re actually feeling that way and remind yourself of your new minimalist values. Minimalism is not something that happens overnight. If you go into your minimalist journey prepared for this, you’ll be way ahead of the curve. It’s not as easy as just participating in a massive month long decluttering challenge. There is a lot of trial and error involved. You will likely be cleaning out the same spaces multiple times until you come to terms with what you actually need to live with and figure out the systems that work best for you and your family. I have a few spaces that I’m finally happy with in my home, like my closet and my bathroom storage. But these took multiple decluttering and organizing sessions to get to. I had to learn to part with more and more things, especially things I originally thought were a necessity. Then I had to try a few different ways of keeping my stuff organized before I found a system I could keep up with without too much effort. On the other hand, I also still have quite a few spaces I’m still working on. This involves decluttering, organizing, and accidentally filling them back up with other things. This journey is often times long and repetitive. But a simpler life is worth the extra effort. Luckily, these mindset changes come naturally as you get further into the process of clearing out your stuff. If you can stick with it through the setbacks and are really willing to question the way you’ve been living, you’ll eventually come to understand all of this and more. Keep learning about minimalism and be honest with yourself about what you need and what you want out of life. Before you know it, you’ll be on the right track to a minimalist mindset.